Bubble Watch: On Selection Sunday, Who's in Line for an NCAA Tournament Bid? Saturday provides bubble teams one final game to prove to the Selection Committee they deserve an at-large NCAA tournament bid. 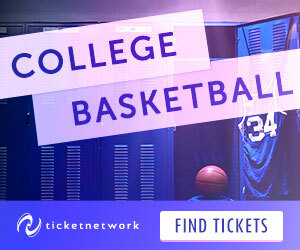 March Madness Bracket 2019: Which Teams Have Qualified for the Tournament? Who’s going to earn a bid to the 2019 NCAA tournament? We’re tracking where each March Madness bubble team stands. Bracket Watch: Should Gonzaga Still Be a No. 1 Seed? Expert Predictions: Who Will Win the Major Conference Tournament Titles? Pac-12 Tournament 2019 Preview: Will Anyone Steal a March Madness Bid? Who will win the 2019 Pac-12 tournament? Even with Washington cruising to a regular-season title, what happens next feels unpredictable. Bubble Watch: Which Teams Have Work to Do in Their Conference Tournaments? Should you believe in Duke, Gonzaga, Virginia, Michigan, LSU and more top teams’ ability to make a run in March?